How are those New Year’s resolutions going? I am doing a stellar job. This morning I woke up ran 5 miles, did 125 squats, 50 burpees and benched pressed 120 pounds. Which really translates into I hit snooze 20 times, crawled out of bed and made myself a giant cup of coffee. So, I am not exactly Mrs. Fitness America, but I have been more active and I am glad to say that my food choices have been on point. I love little red potatoes! They make the best and easiest side dish. Top with a fried egg and it’s a full dinner. I LOVE little reds! Hands down red potatoes are my favorite potatoes, honestly! I love their creaminess, taste, they are fat-free, a great source of fiber and you don’t have to peel red potatoes. 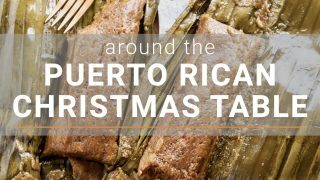 The skin is thin, and so they are easy to prep. Wash and cook them with the skin on and done! With the new year and my love for little red potatoes, I thought I would make a healthy recipe featuring red potatoes. I thought I would tap into my way-way-back roots and make a Spanish inspired potato salad. I have a great love for Spanish food and regularly dream of one day visiting The Mother Land. My goal was to make a simple and delicious dish that was light and filling. I also thought adding some chickpeas would give it some protein and texture when toasted. 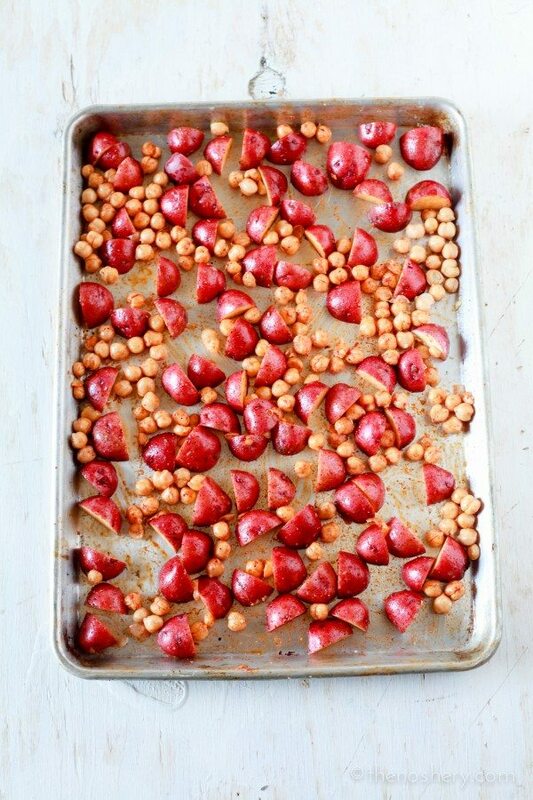 Rinse the potatoes and chickpeas, make sure to pat dry so they roast and don’t steam. Toss with olive oil and paprika and roast in the oven. 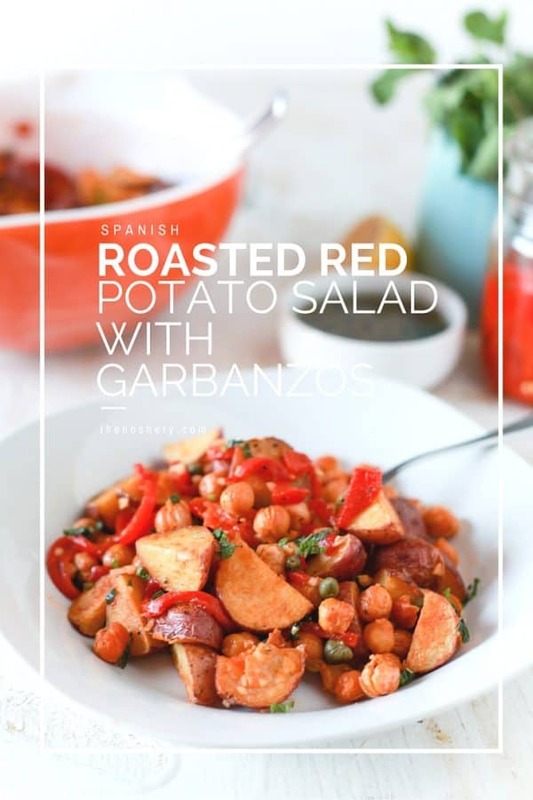 The chickpeas should be lightly toasted and the potatoes tender. Oh so nummy potato salad, will you be in my life forever? 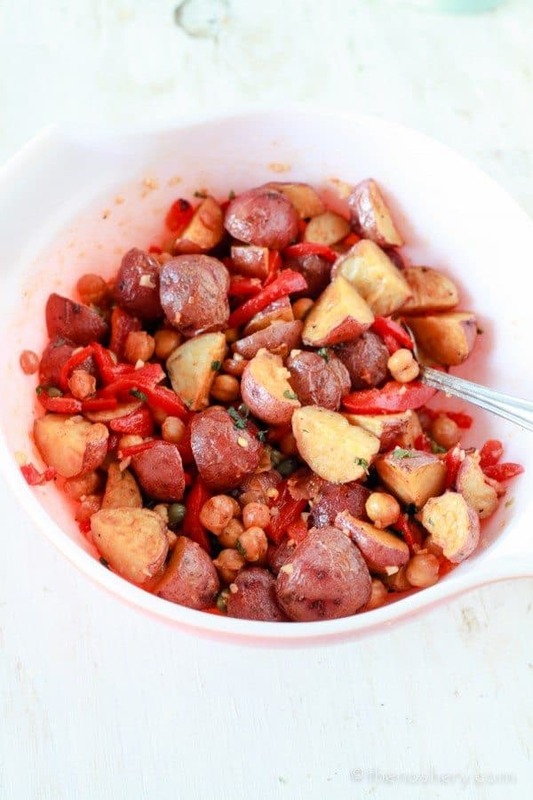 Tender buttery red potatoes and firm toasted chickpeas, tossed with capers, roasted red peppers and garlic. Hello lover! Your healthy and delicious! Let’s be friends forever! Pre-heat oven to 400 degrees. 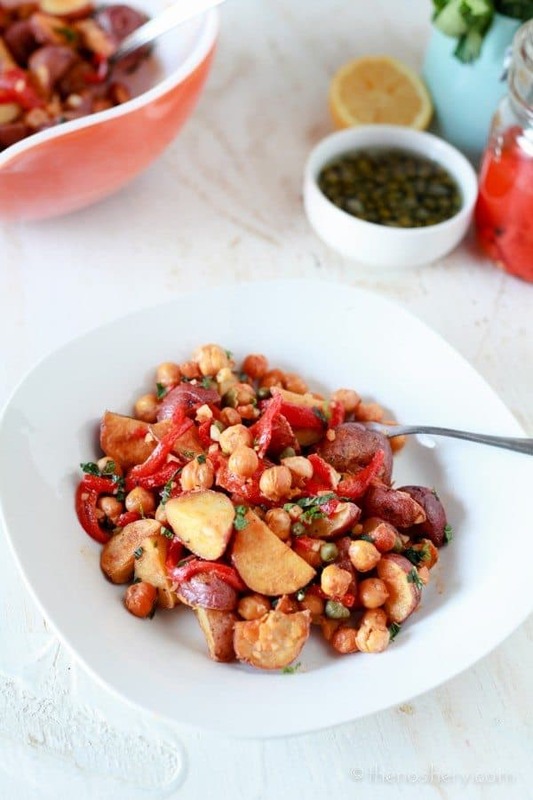 Combine chickpeas, potatoes, 2 tablespoons olive oil, salt and paprika in a large bowl, toss to combine. 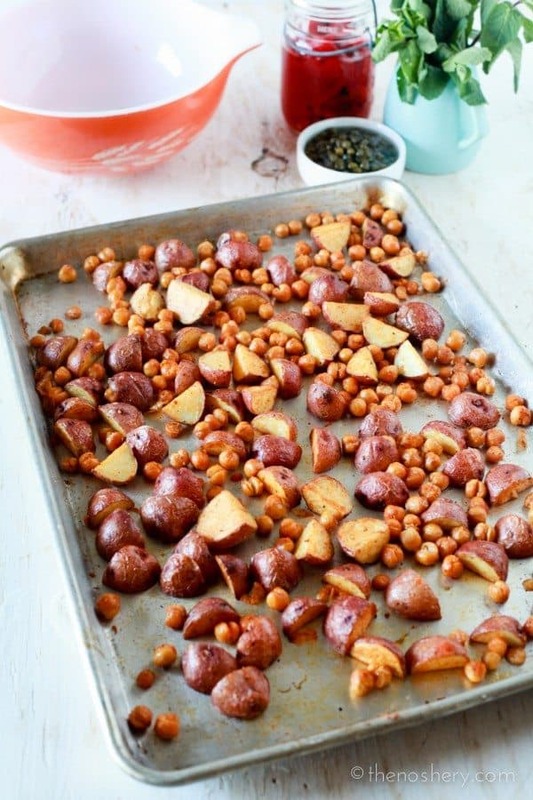 Transfer potatoes & chickpeas to a sheet pan. Roast in the oven for 30 - 35 minutes, tossing half way through, until potatoes are browned and tender. 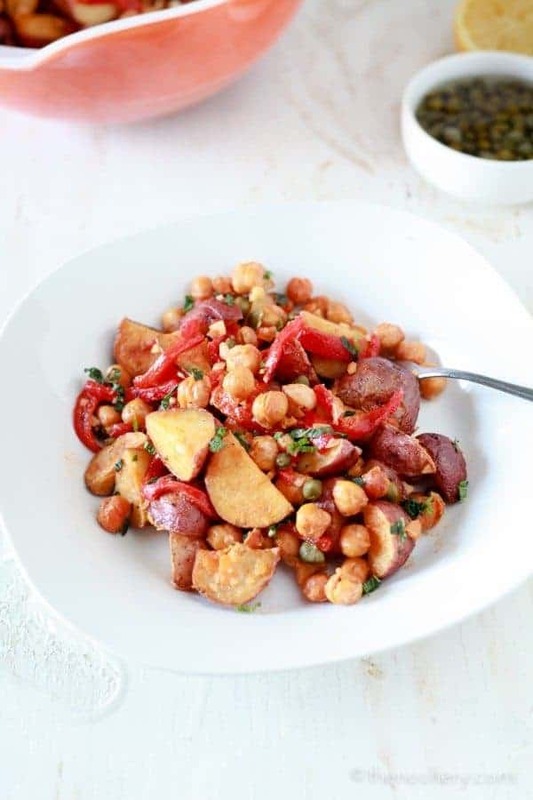 Transfer potatoes and chickpeas to large bowl, drizzle with remaining olive oil and lemon juice, add remaining ingredients and toss until will combined. Serve warm or room temperature. Thank you for visiting The Noshery! To load up on new recipes, exclusive goodies + more SUBSCRIBE to get The Noshery content straight to your inbox. Are you looking for more recipes? Make sure to checkout the RECIPE INDEX. You cook with all my favorite ingredients. THANK YOU. I like to make a Rachel Ray recipe for ‘smashed potatoes’. I would chop them up and roast them! Great with eggs in the morning! i would make oven roasted greek lemon potatoes. I love this french potato salad with tuna recipe. what a great giveaway! thank you for hosting! I love to make breakfast potatoes and onions with them. I make a simple casserole called “sausage and potato”. It’s got lots of spices and then … just sausage …. and potato. Roasted in the oven for an hour or so. Easy easy, just one dirty pan and delicious. I’d make a healthy version of German potato salad. haha for a minute there at the beginning I was thinking “Dang that’s an intense morning workout” haha. I love this potato salad! So perfect! I love to make a chicken and potato bake. I love making a hash with potatoes + root veggies + eggs for a breakfast-for-dinner! I often eat roasted or bakes potatoes with just salt and pepper. The Noshery is a participant in the Amazon Services LLC Associates Program, an affiliate advertising program designed to provide a means for sites to earn advertising fees by advertising and linking to amazon.com.